Something I often talk about with people is goal setting. This process seems so intimidating to some people, that they are almost afraid to set goals! I know for a long time, I hated setting goals, mostly because the only way I knew how to do it did not seem to work for me. Now, let’s talk about why I hate one of the popular methods of goal setting, and a better method I developed for myself. 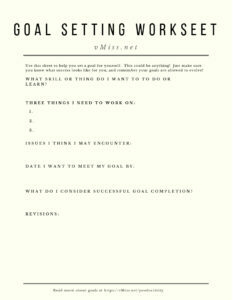 I have even made a handy goal setting worksheet available for download at the end of the post. You may be familiar with the term SMART goals. I hate them. I remember being told to use them on my yearly employee development plan earlier in my career. If you are not familiar with SMART goals, they break down like this. If you think of a corporate setting, I suppose this does make some sense. I struggle with the Specific part, since I lack a crystal ball and have no idea what is going to happen in the next year. Measurable goes along with that, how can you determine metrics for something that will evolve? However, you need to provide metrics up front to be graded against. Achievable, well, if you set goals you know you can make, are you really pushing yourself? Then again you would never set a goal on a corporate development plan you could not make, since it would impact your performance review. Relevant is debatable, and comes down to what your management sees value in. As for Time-bound, usually employee reviews are done yearly, so of course your employer wants you to set goals that will be achieved in that time span. If you set a goal that requires more than a year to achieve, well good luck with that one. The SMART method looks like it is going to get results for your employer, but what about you? I remember starting at the pretty colored info graphic and dreading setting these goals. Of course I did it because I had to, but they did not help me actually grow in any way shape or form. Even the personal development goals I set were a waste of time since I just followed the process for stuff I knew I could easily do so I could get a good employee rating. 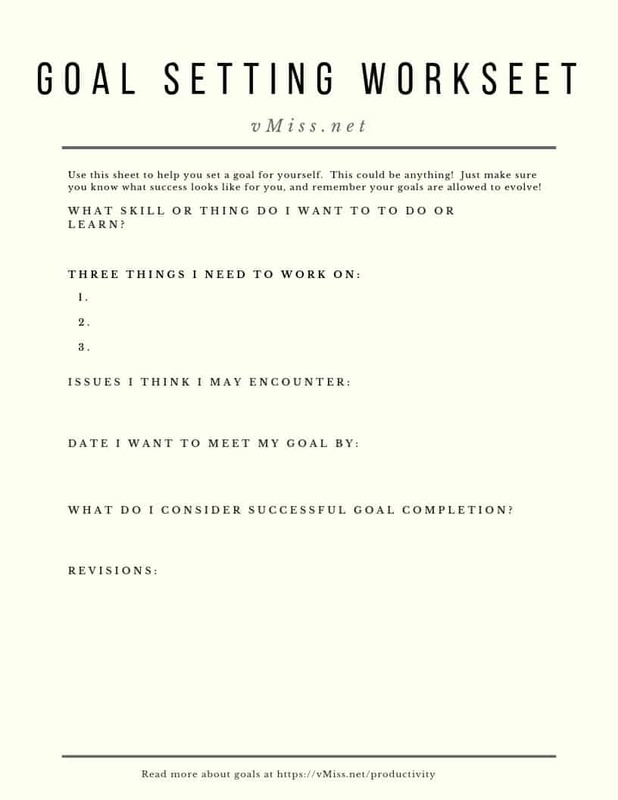 This was my introduction to goal setting, and I was horrible at it. I had trouble setting goals in a way that worked for years. Did I still accomplish things? Of course I did, but I lacked a plan other than “Learn this thing and get good at it!”. The best way to set goals is to find something that works for you. You can read article upon article about goal setting. There are many, many methods out there, and many different ideas on the best way to set a goal for yourself. For me, it took a while to figure out a way that worked for me, but eventually I did. I read a lot, and learned more about what I did not want to do versus what I actually wanted to do on the goal setting front. 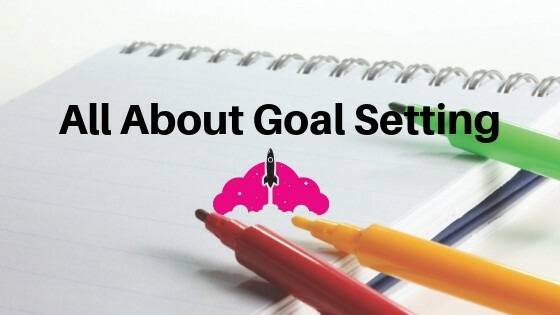 I want to share the method I use for goal setting with you now in the hopes it can either help you directly, or help you figure out what works for you. No one can answer this for you, and no matter how many articles you read about goals, you ultimately need to decide this for yourelf. For some people, success is learning something new, or becoming better at something. For others, success is making more money or getting a new job. Sometimes, success is just being happy. Whatever it is for you, make sure to do some serious reflection, and keep what success means to you in mind when you set a goal. Here is how I set goals for myself. This method has worked well for me. On the career and technology front, I have achieved the expert level technology certification I sought out, published a book, and found a new job that I love. All of these things made me happy, so to me I have achieved success. I usually use this method for new things I want to learn about, or things I want to accomplish. Pick a single thing you want to learn or do. It is perfectly okay to be working on achieving multiple goals at once, however you should make sure you are focusing on them all individually. How many goals you set will be a function of what they are, and how much free time you have. A good thing to do is to always start with a list of what you want to accomplish, and work on goal setting from there. What are three things you need to do to achieve your goal? Will your goal break down into requiring more than three things? It very well may, but I have noticed if I try to work on too many things at once for achieving a goal, i tend to spin my wheels and not really get much done on anything. That is why I start by focusing on three things. I pick three because let’s face it, we all get stuck on something sometimes. There will also be times when you just are not in the mood to do something. By having couple of things to work on, you will have options if you get stuck or just are not in the mood for something. Up front, think of things that could impede your success. What kind of issues could you encounter along your journey? They could be related to the time you have, access to resources, or financial. They really could be anything. By getting them down on paper up front, you will hopefully not be surprised by them when they do rear their ugly heads, and will move past them faster. I can feel it, some of you are cringing already. Do not freak out too much, because your goals and the time you achieve them in areabsolutely allowed to evolve. Thinking about a time frame around your goal helps you determine how much effort it will require. For example, some technology certifications can be achieved in a couple weeks, while some take months to years. It is important to be realistic about your goal and how long it will take to achieve. There is nothing wrong with a goal that is a short term or a long term goal, in fact, it is good to be working on a mixture of both. It is important to check in on your goal on a regular basis. Depending on how long you are projecting your goal will take to meet, you may want to schedule some time to check in on a weekly or monthly basis. If you miss a check in, try not to worry too much about it. Remember, Your Goals Are Allowed to Evolve. When I set my biggest career goal ever, achieving the VMware VCDX certification, I totally blew my timeline. You know what? It does not matter, I still ultimately met my goal. Remember, your goals are allowed to evolve, and life happens! Make a Plan to Achieve Your Goals. One of the most important tools you can have to meet your goals is a notebook, be it paper or digital. I also like to go the extra mile and user a paper planner. Here are my reviews on some of the planners I have used over the years. IT Architect Series: The Journey. 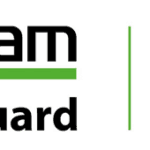 After I achieved the VMware VCDX Certification, I wrote the book I wish I had when I started down that path. It turned into much more than a book on IT Architecture, and I talk much more in depth about goal setting and how to learn new things. If you looking to learn about anything IT related, I highly reccomend taking a look at this book. You can learn more about it the website. Goal setting is a continuous process. Goals change and evolve, as do the time you have to spend on your goals. Try not to get discouraged when you encounter obstacles or when your goals take longer than you thought they would to achieve. The more you work on goal setting, the easier it will become over time. Good luck on achieving your goals!